Toumaï is the name of a late Miocene hominoid who lived in what is today the Djurab desert of Chad some seven million years ago (mya). 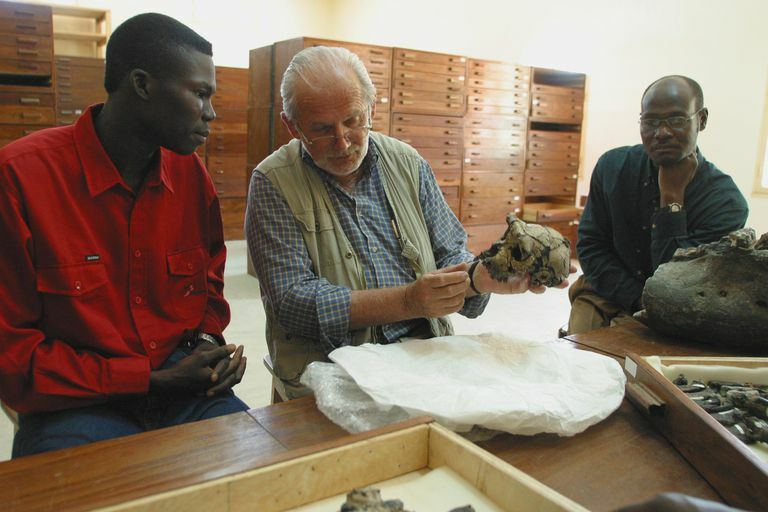 The fossil currently classified as Sahelanthropus tchadensis is represented by a nearly complete, amazingly well-preserved cranium, collected from the Toros-Menalla locality of Chad by the Mission Paléoanthropologique Franco-Tchadienne (MPFT) team led by Michel Brunet. Its status as an ancient hominid ancestor is somewhat in debate; but Toumaï's significance as the oldest and best preserved of any Miocene age ape is undeniable. The Toros-Menalla fossil region is located in the Chad basin, a region that has fluctuated from semi-arid to wet conditions over and over again. The fossil-bearing outcrops are in the center of the northern sub-basin and consist of terrigenous sands and sandstones interbedded with argillaceous pebbles and diatomites. Toros-Menalla is some 150 kilometers (about 90 miles) east of the Koro-Toro locality where Australopithecus bahrelghazali was discovered by the MPFT team. Toumaï's skull is small, with features suggesting it had an upright stance and used bipedal locomotion. Its age at death was approximately 11 years old, if comparisons to wear on the teeth of modern chimpanzees are valid: 11 years is an adult chimpanzee and it is assumed that so was Toumaï. Toumaï has been dated to approximately 7 million years of age using the Beryllium isotope 10Be/9BE ratio, developed for the region and also used on the Koro-Toro fossil beds. Other examples of S. tchandensis were recovered from Toros-Menalla localities TM247 and TM292, but were limited to two lower jaws, the crown of a right premolar (p3), and one partial mandible fragment. All hominoid fossil materials were recovered from an anthracotheriid unit--so called because it also contained a large anthracotheriid, Libycosaurus petrochii, an ancient hippopotamus-like creature. The complete cranium recovered from Toumaï had suffered fracturing, displacement and plastic deformation over the past millennia, and in 2005, researchers Zollikofer et al. published a detailed virtual reconstruction of the skull. This reconstruction illustrated in the photo above used high-resolution computed tomography to create a digital representation of the pieces, and the digital pieces were cleaned of adhering matrix and reconstructed. The cranial volume of the reconstructed skull is between 360-370 milliliters (12-12.5 fluid ounces), similar to modern chimpanzees, and the smallest known for an adult hominid. The skull has a nuchal crest that is within the range of Australopithecus and Homo, but not chimpanzees. The skull's shape and line suggests Toumaï stood upright, but without additional postcranial artifacts, that's a hypothesis waiting to be tested. Vertebrate fauna from TM266 include 10 taxa of freshwater fish, turtles, lizards, snakes and crocodiles, all representatives of ancient Lake Chad. Carnivores include three species of extinct hyenas and a saber toothed cat (Machairodus cf. M giganteus). Primates other than S. tchadensis are represented only by a single maxilla belonging to a colobine monkey. Rodents include mouse and squirrel; extinct forms of aardvarks, horses, pigs, cows, hippos and elephants were found in the same locality. Based on the collection of animals, the TM266 locality is likely to be Upper Miocene in age, between 6 and 7 million years ago. Clearly aquatic environments were available; some of the fish are from deep and well-oxygenated habitats, and other fish are from swampy, well-vegetated and turbid waters. Together with the mammals and vertebrates, that collection implies that the Toros-Menalla region included a large lake bordered by a gallery forest. This type of environment is typical for the most ancient of hominoids, such as Ororrin and Ardipithecus; in contrast, Australopithecus lived in a wider range of environments including everything from savannah to forested woodlands. Brunet M, Guy F, Pilbeam D, Lieberman DE, Likius A, Mackaye HT, Ponce de León MS, Zollikofer CPE, and Vignaud P. 2005. New material of the earliest hominid from the Upper Miocene of Chad. Nature 434:752-755. Brunet M. 2010. Short note: The track of a new cradle of mankind in Sahelo-Saharan Africa (Chad, Libya, Egypt, Cameroon). Journal of African Earth Sciences 58(4):680-683. Emonet E-G, Andossa L, Taïsso Mackaye H, and Brunet M. 2014. Subocclusal dental morphology of sahelanthropus tchadensis and the evolution of teeth in hominins. American Journal of Physical Anthropology 153(1):116-123. Lebatard A-E, Bourlès DL, Duringer P, Jolivet M, Braucher R, Carcaillet J, Schuster M, Arnaud N, Monié P, Lihoreau F et al. 2008. Cosmogenic nuclide dating of Sahelanthropus tchadensis and Australopithecus bahrelghazali: Mio-Pliocene hominids from Chad. Proceedings of the National Academy of Sciences 105(9):3226-3231. Vignaud P, Duringer P, Mackaye HT, Likius A, Blondel C, Boisserie J-R, de Bonis L, Eisenmann V, Etienne M-E, Geraads D et al. 2002. Geology and palaeontology of the Upper Miocene Toros-Menalla hominid locality, Chad. Nature 418:152-155. Wolpoff MH, Hawks J, Senut B, Pickford M, and Ahern JCM. 2006. 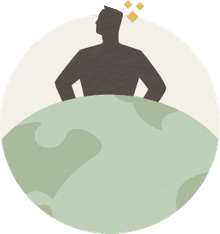 An ape or the ape: is the Toumaï cranium TM 266 a hominid? PaleoAnthropology 2006:36-50. Zollikofer CPE, Ponce de León MS, Lieberman DE, Guy F, Pilbeam D, Likius A, Mackaye HT, Vignaud P, and Brunet M. 2005. Virtual cranial reconstruction of Sahelanthropos tchadensis. Nature 434:755-759. What is a Caucasoid, and was Kennewick One?